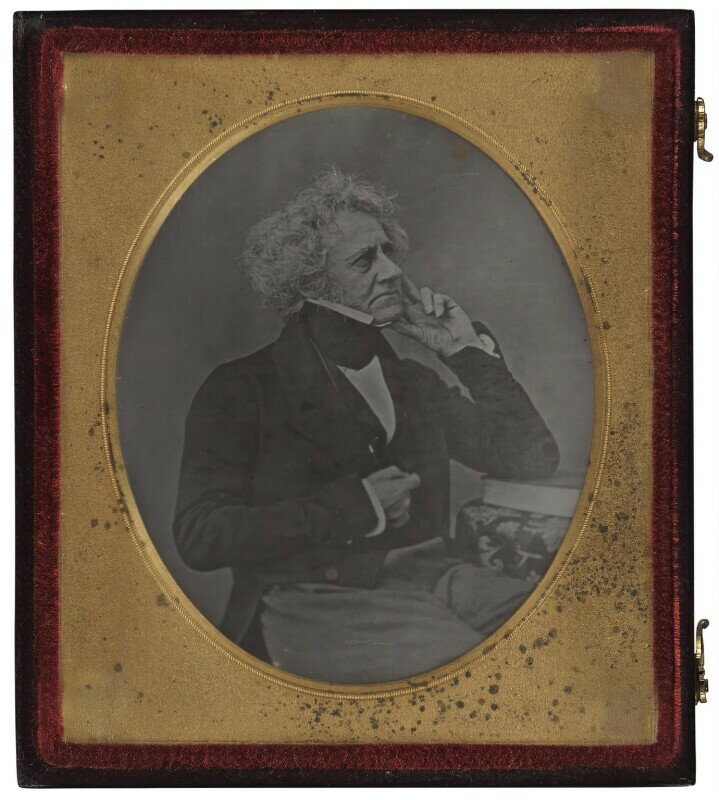 Sir John Frederick William Herschel, 1st Bt (1792-1871), Mathematician and astronomer; son of William Herschel. Sitter in 18 portraits, Artist of 1 portrait. As a daguerreotype, this is a unique image and is the earliest recorded photograph of Herschel. Linking one of photography's scientific pioneers with one of its leading early practitioners, J.J.E. Mayall, it is of outstanding importance in the history of photography in Britain. Led by Feargus O'Connor, up to 50,000 Chartist members meet on Kennington Common, to form a procession and present another petition to Parliament. Although there was a large military and police presence, the rally was peaceful. The Pre-Raphaelite Brotherhood a group of English painters, poets and critics, is founded by John Everett Millais, Dante Gabriel Rossetti and William Holman Hunt, intent on reforming art by rejecting the artists who imitated Raphael and Michelangelo. Instead, they advocated a return to a close observation of nature, invested with the intense detail, colours, and compositions of Quattrocento Italian and Flemish art, producing works layered with symbolism. Following the fall of the French monarchy, revolutions take place in France, Germany and Italy, provoked by a widespread desire for political independence from repressive regimes, and a range of economic problems which had caused unemployment, food shortages and poverty. Louis Napoleon becomes the first President of France's Second Republic. The first gold rush takes place in America, after gold is found on the Sacramento river, California.